Orange Beef with Noodles is another family favourite slow cooker dish, perfect for hot summer days when you don’t want to heat up the kitchen. Slow cookers generate so little heat, and warm, spicy dishes can be incredibly cooling. (Think of all the curries that are served in the hot places around the world.) This dish is delicious with an ice cold beer, and perfect for one of those days when you would rather be out enjoying yourself. It’s also mild enough to be kid-friendly (minus the beer of course!). And in the autumn and winter this dish comes into its own, filling the kitchen with delicious smells and hungry tummies with deliciousness. The noodles for this dish take next to no time to cook (most Chinese noodles, or fine egg noodles, cook in only 2 or 3 minutes) so there is only a tiny bit of heat in the kitchen towards the end of the cooking time. 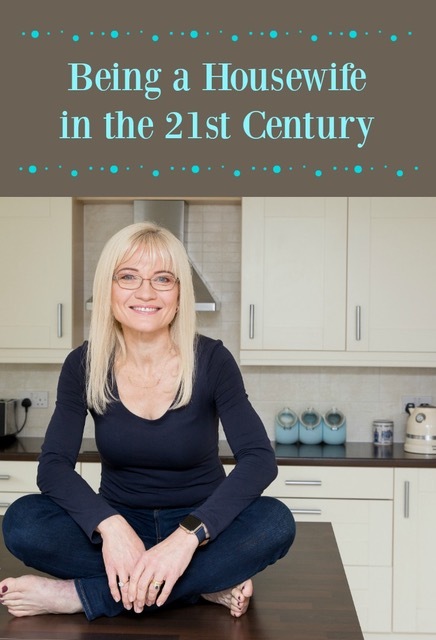 I have also used pre-cooked noodles in this dish, adding them to the slow cooker ten to fifteen minutes before serving just to heat through, thus dispensing with the need to boil the noodles. 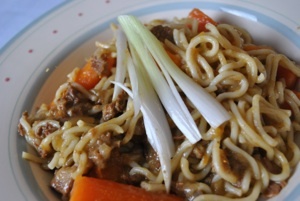 Come home after a fun day in the sun and enjoy a comforting and delicious dinner – my Orange Beef with Noodles. Layer the sliced onion over the bottom of the slow cooker. Top with the carrot sticks. Put the flour, ginger and ground pepper in a paper bag. Shake the cubes of beef in the bag (working in batches) until they are coated. Again working in batches, gently brown the floured beef in the oil, adding it to the slow cooker as it is browned. Mix the beef stock, juice and grated rind of the orange, soy sauce and minced garlic together in a small pitcher or bowl. Pour over the beef and vegetables in the slow cooker. Cook the Orange Beef in your slow cooker according to the directions. Normally this would be for 9 – 11 hours on low or 5 – 7 hours on high. If using dried noodles, cook them in boiling salted water according to package directions. Drain the noodles and serve the Orange Beef over them. Garnish with the reserved scallions. This looks delicious, April. I like using stew beef for recipes like this, because it becomes so tender. Thanks for sharing at Simple Supper Tuesday.